Brighten any platter. 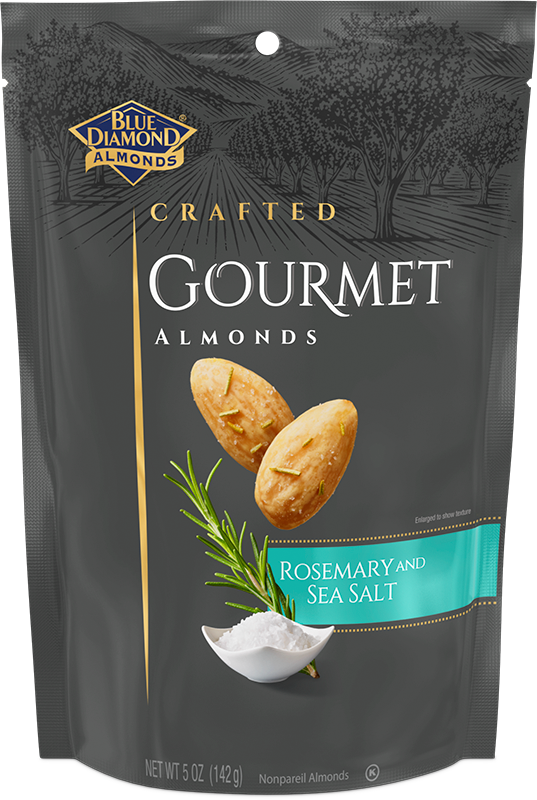 These finely seasoned almonds are roasted and garnished with rosemary and sea salt to round out everything from cured meats and cheeses to tangy jams and fresh fruit. Get inspired with our Rosemary-Flax Spirit holiday gourmet pairing featuring Rosemary and Sea Salt almonds. ALMONDS, VEGETABLE OIL (CANOLA AND/OR SAFFLOWER), ROSEMARY, SEA SALT, ROSEMARY OIL.